Electro Summer Flower Flyer Template - Download Flyer Templates for Electro Club Party Events! 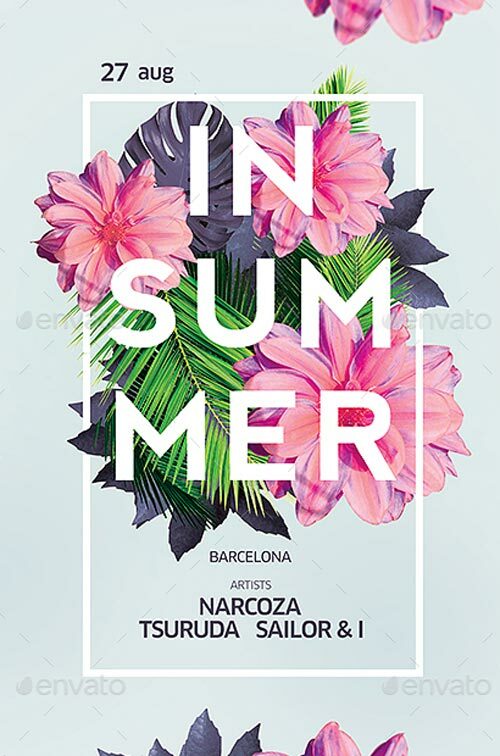 Summer Flyer – This summer flyer poster template can be used for a summer party, outdoor bar, fashion event, email template, summer sale flyer, flower workshop, beach party, bar and dj event, tropical island theme party, or just for regular exotic summer festivals. 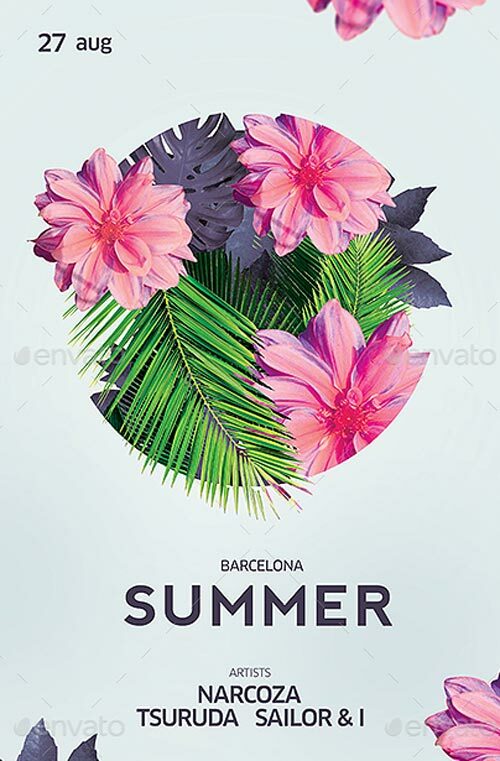 It’s a light modern flyer template perfect for summer use, with jungle leaves and flowers pattern, along with a modern typography and an exotic summer feel.